This 2016 Macau Numismatic Society Annual Show Panda was released December 2016 at the Macau Kam Pek community center. 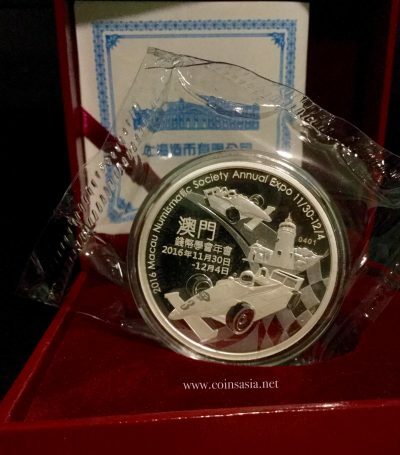 It is the Third issue of the highly popular collectors medals know as the Macau shiw Panda Grand Prix medals. 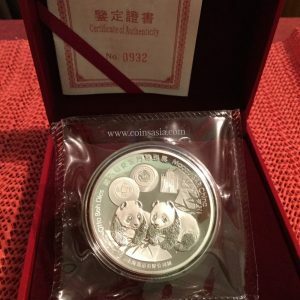 What makes these medals unique is their crossover appeal with both the Chinese Silver Panda coin collectors as well as the Macau Grand Prix collectors. 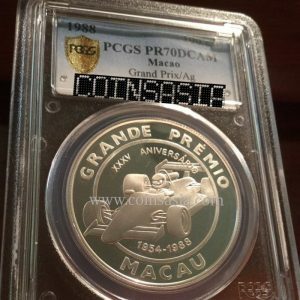 The Macau Grand Prix coins are highly sought after pieces worldwide with many pieces selling for records high prices regularly. 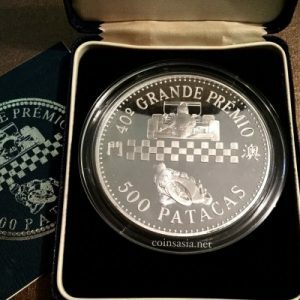 2016 China 2 ounce Silver MACAU PANDA Grand Prix Show Medal mintage is 1,000. 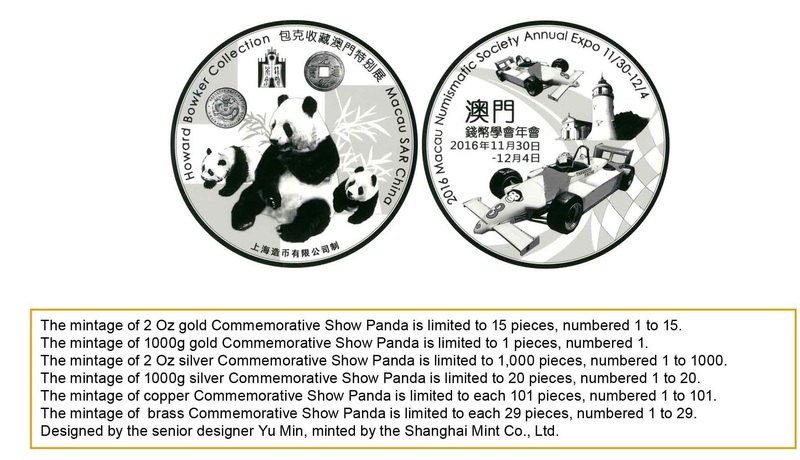 The 2016 Obverse design features the Macau Zoo Panda Mother with the two new Panda babies born this summer at the zoo and coins from the Howard Bowker Macau Special exhibit. 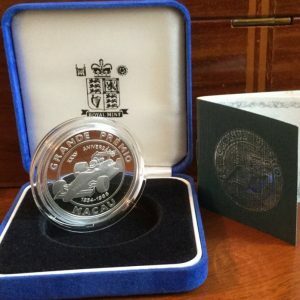 The reverse features the Macau Grand Prix Race Car of Aryton Senna’s Champion number 3 car ,which is in the Macau Grand Prix Museum , racing past the Macau Guia Lighthouse. 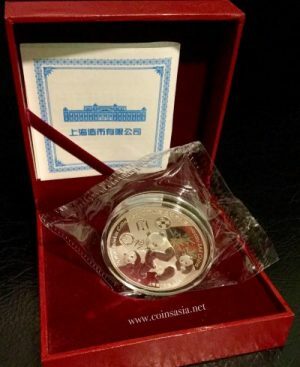 Obverse: Church facade flanked by stars. 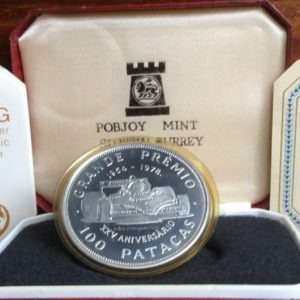 Reverse: Race car (No Logos Variety). 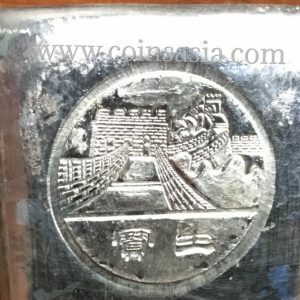 **One of only two silver medal issues minted in commemoration of the “Otto Beh Dies”. 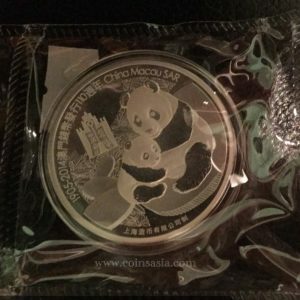 The other being the 2016 Berlin WORLD MONEY FAIR Panda. 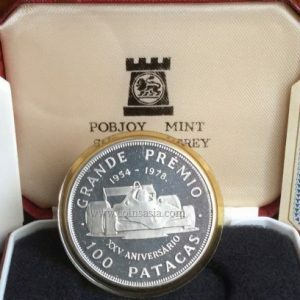 *Macau Grande Premio minted 610!